Sale of extended warranties to be investigated by OFT | What Hi-Fi? The Office of Fair Trading (OFT) is to investigate whether customers are getting value for money from extended warranties sold with electrical goods. Around a quarter of all goods are sold with an extended warranty and the regulator has received complaints that they are often unfair and uncompetitive. Usually sold at the point of purchase, many shoppers don't realise that such cover is optional and often feel pressurised in to buying unnecessary, over-priced warranties. 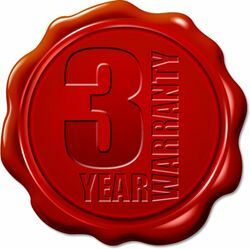 Customers have up to 30 days to decide on buying an extended warranty and there's a 45-day cooling-off period during which people can change their mind after purchase. Claudia Berg of the OFT said: "We plan a short and focused market study to find out quickly what, if any, action is needed to make this market more competitive, to the benefit of consumers and the wider UK economy." While many stores have come under attack for its warranty policy, there are exceptions. John Lewis, for example, makes a point of offering a free five-year extended warranty on all televisions sold in store.